Please note: This periodical has been discontinued. 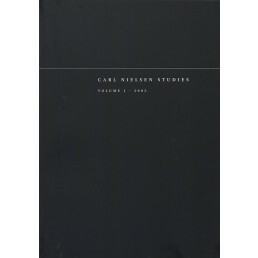 Carl Nielsen Studies is an international, scientific, journal in English with yearbook characteristics, but issued irregularly, published by The Royal Library 2003-2012. Editorials, dissertations, reports (i.a. on current publications) and reviews. Carl Nielsen Bibliography 1985-1995 in vol. I; 1996-2003 in II; 2004-2007 in III; 2008 in IV; 2009-2011 in V.
5 vols. publ. : Volume I, 2003, II, 2005; III, 2008; IV, 2009; V, 2012. Special issues: Nordic Music Editions, Symposium 1-2 September 2005. Proceedings, 2006. Choose 'Current' from the top menu to see the latest available issue, or 'Archives' to browse all back issues.